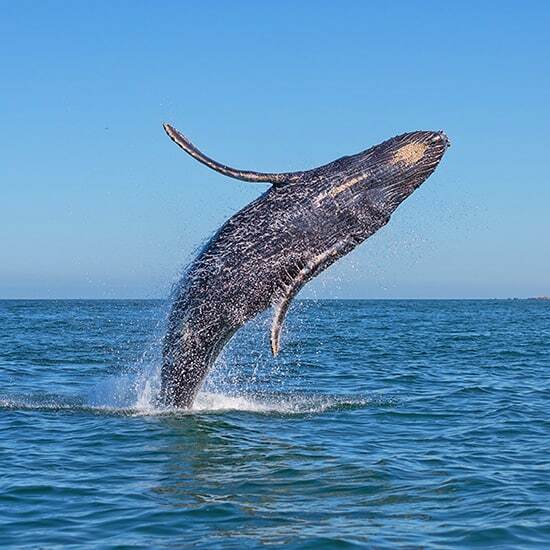 From December through April, our warm Baja waters beckon some of the world’s largest, most majestic mammals. 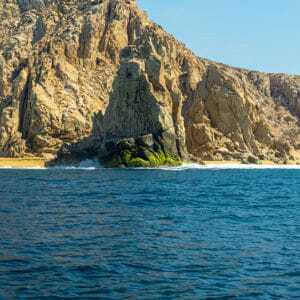 Plan your trip to coincide with the Cabo San Lucas whale watching season, and you’re in for unforgettable Gray and Humpback whale encounters. 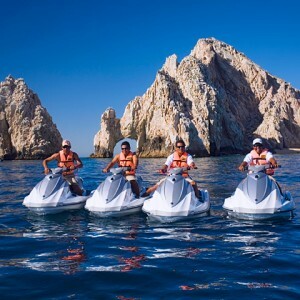 On an Aries Water Sports small group whale watching tour, you’ll enjoy up-close views of these massive creatures while visiting the most popular Cabo San Lucas attractions. Trust our experienced captains to take your family to the best spots for catching a glimpse of whales feeding, breaching and playing. 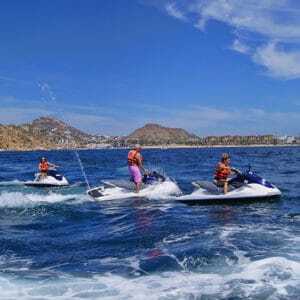 Picking up from anywhere in the Medano Beach activity area, whale watching tours last approximately an hour and a half to two hours. 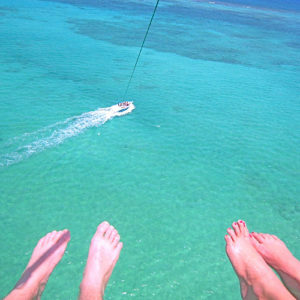 Our fleet of boats comfortably carries 12 to 14 people. Reservation requires a minimum of 4 people. Tour also includes complimentary water. Aries Water Sports operates with the utmost respect for our whales. 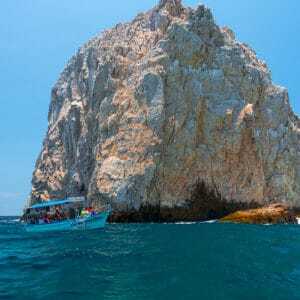 For the safety of the whales and our passengers, Aries adheres to all Cabo whale watching regulations. 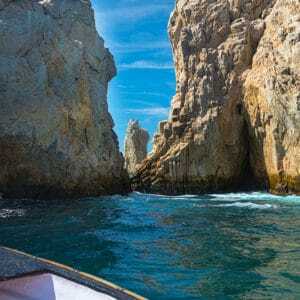 Aries Water Sports offers daily Cabo whale watching tours December 15 – April 15. Tours can also be scheduled at our orange Aries tent on Medano Beach!